Rhonda M. Roorda was adopted at the age of two into a white American family with Dutch heritage. She was raised with her two non-adopted siblings in the Washington, D.C. metropolitan area. Rhonda is an Author & International Speaker on Transracial Adoption. Rhonda’s latest book, In Their Voices: Black Americans on Transracial Adoption was named by Choice Magazine as a 2016 Outstanding Academic Title. With the late Dr. Rita J. Simon, she coauthored a landmark trilogy of books on Transracial Adoption (In Their Own Voices, In Their Parents’ Voices, and In Their Siblings’ Voices). Rhonda’s work is highly regarded in academia, among adoption agencies and parent groups, in corporations, in Hollywood, and in households throughout the United States and abroad. Rhonda is the recipient of the 2010 Judge John P. Steketee Adoption Hero Award from the Adoptive Family Support Network (MI). 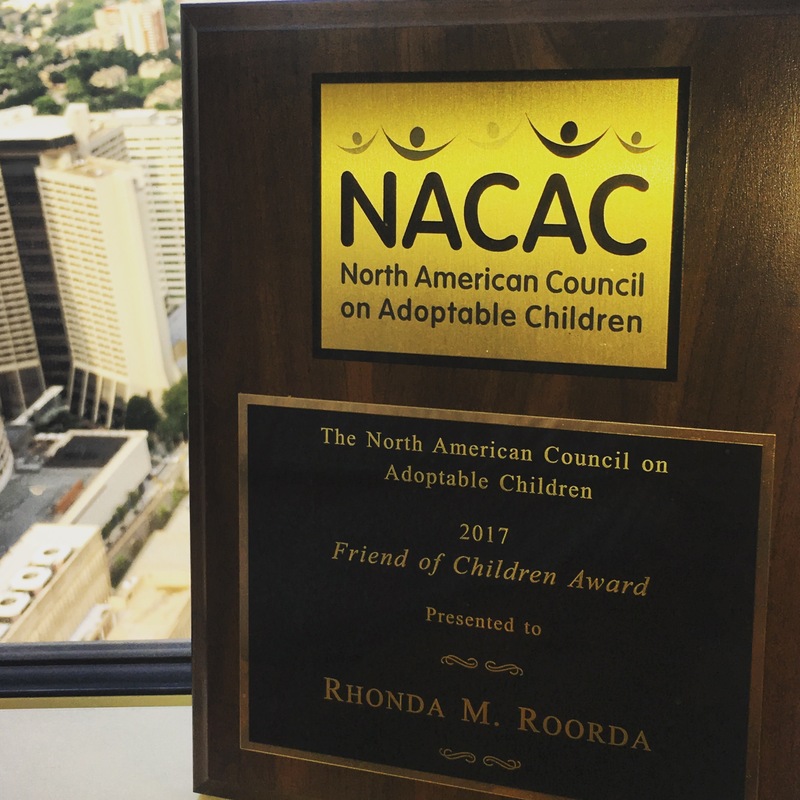 In 2017, Rhonda was awarded the Friend of Children and Youth Award from the North American Council on Adoptable Children (NACAC). Rhonda earned her Bachelor of Arts Degree in Telecommunications from Calvin College in Grand Rapids, MI; and a Master of Arts Degree in Communication-Urban Studies at Michigan State University in East Lansing, MI. From 2013-2016, Rhonda served on the Calvin College Alumni Board. In 2017, Rhonda became a Member of the Calvin College Board of Trustees. Rhonda works as a fund administrator at an educational advocacy organization in Lansing, Michigan.